Last week, after a final global odyssey bringing her from Australia via Singapore, Mumbai and Dubai to Barcelona, Royal Caribbean said farewell to Legend of the Seas. 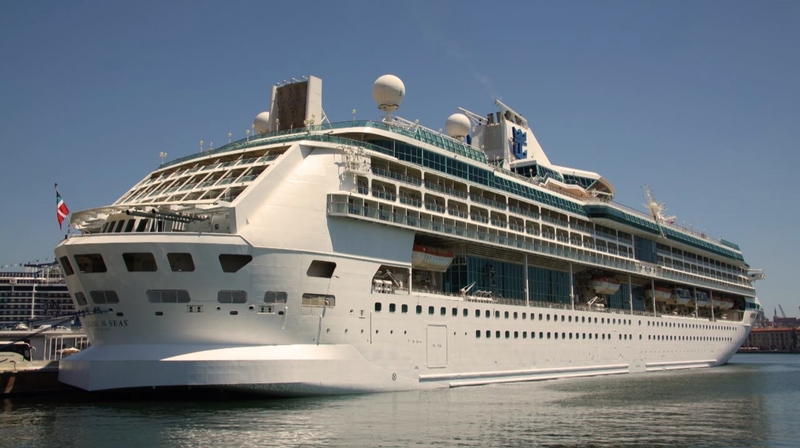 When Legend of the Seas debuted in May 1995 she was the first of six ships in Royal Caribbean’s Vision Class. Legend of the Seas introduced guests to a groundbreaking cruise ship design, by incorporating more glass windows than any other vessel at the time, offering greater views of the ocean from interior spaces. While by today’s standards Legend could be considered small, at the time of her launch she was one of the larger ships in the cruise world weighing almost 70,000 tons and accommodating some 1,800 passengers. Having been based in Asia, Australia and New Zealand, the South Pacific, Alaska, Central America, Caribbean, the Baltic, Mediterranean and the Middle East during her career at sea, Legend of the Seas was considered the most-traveled ship in the Royal Caribbean fleet. During her 2013 Mediterranean summer season we had the opportunity to join her for a voyage from Marseille to Barcelona, Valencia and Rome. A few months before our cruise Legend of the Seas received a $50 million refurbishment bringing the ship up to modern day standards. 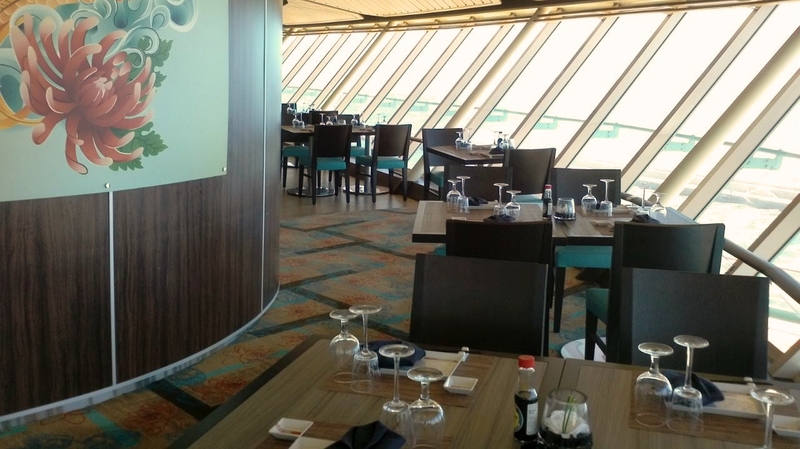 As part of the overhaul Legend of the Seas’ iconic Viking Crown Lounge was upgraded and divided to include a new bar and two new restaurants, Chops Grille, Royal Caribbean’s signature steakhouse and Izumi offering Asian-fusion cuisine. 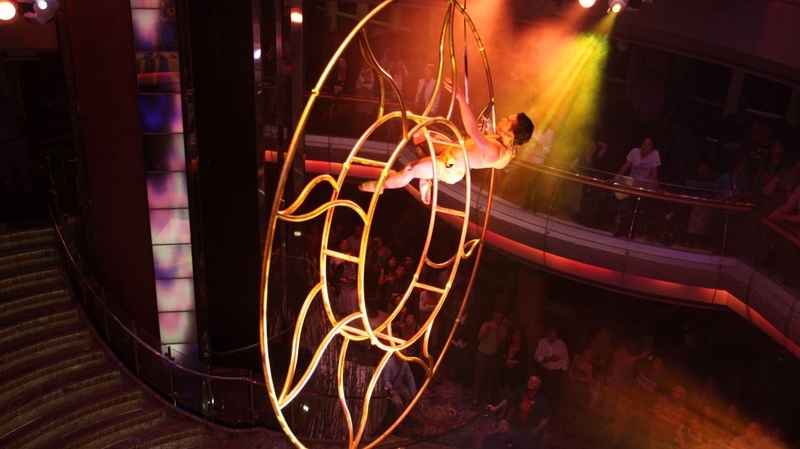 Literally at the center of the ship was the five-deck high Centrum serving as a hub for passengers and entertainment venue at night. 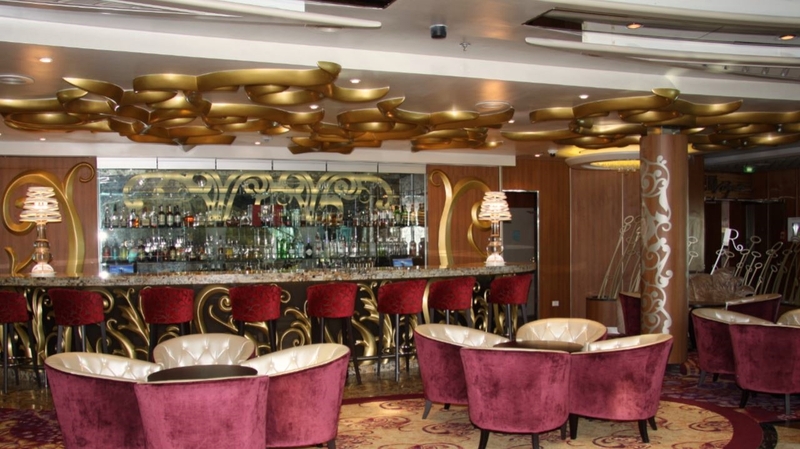 Located in the Centrum, R Bar was one of the new features that were added during the ship’s makeover in 2013. 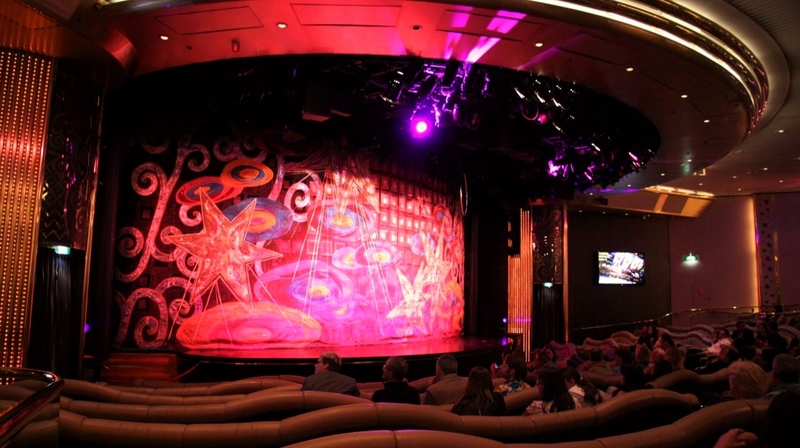 Contrary to the theatres in the newer giants of the seas that are home to full scale broadway musicals, Legend’s intimate That’s Entertainment Theatre provided nightly Broadway-style entertainment on a smaller scale. Other entertainment and relaxations options included a full spa and fitness centre, two swimming pools (including the adults-only solarium), and four whirlpools. The pooldeck had an outside movie screen. For a more active pastime the ship offered a Rock-climbing wall, jogging track and miniature golf course. Legend of the Seas was the oldest and smallest ship we have ever sailed on and, while there was no specific reason, at the time we were not to impressed with her. 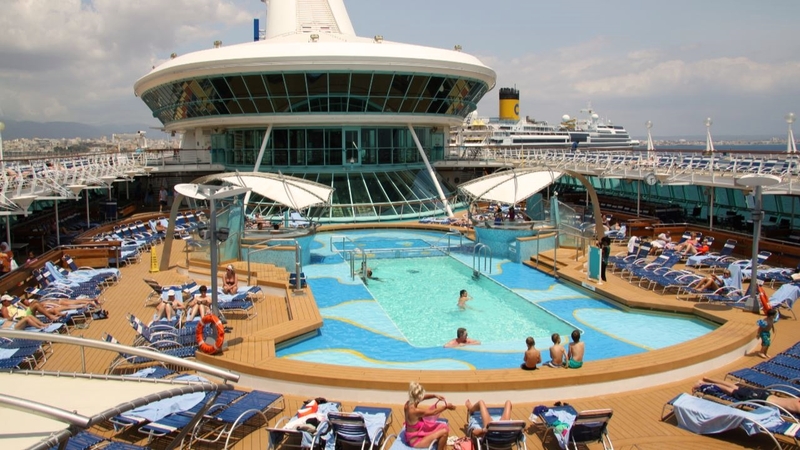 The fact that we just returned from a cruise on board Mariner of the Seas and Celebrity Silhouette probably played a major part in our sentiment. Looking back we have to admit that, thanks to her revitalisation, Legend of the Seas didn’t show her age, on the contrary she was a pretty modern looking vessel. Something that we did like at the time was her smaller size which meant that we didn’t have to walk half an hour to get from one side of the ship to the other. Legend of the Seas’ last scheduled cruise with Royal Caribbean ended on 26 March 2017. She was transferred to Thomson Cruises where she will continue to sail under her new name TUI Discovery 2.